A Holly Bloggy Christmas Thank You! On this day-after-Christmas, I just wanted to write a quick note of thanks to everyone who helped out or participated in this year’s Holly Bloggy Christmas Event! It was so great seeing all your recipes, decorations, and other Christmas ideas! I found so many inspiring things to try out, and I hope you all did too! And I hope you’ll all be back next year to participate again! These ladies were so great to work with, and they put together some really fun parties for us. If you have a minute, please stop by their blogs and say hello! And another BIG thanks to our giveaway sponsors! Thanks to these great ladies, we had some fantastic prizes to give away! Please stop by their websites for a little after-Christmas shopping! I hope everyone had a wonderful Christmas and holiday season! And I wish you all good luck and blessings in the new year! Hello everyone! 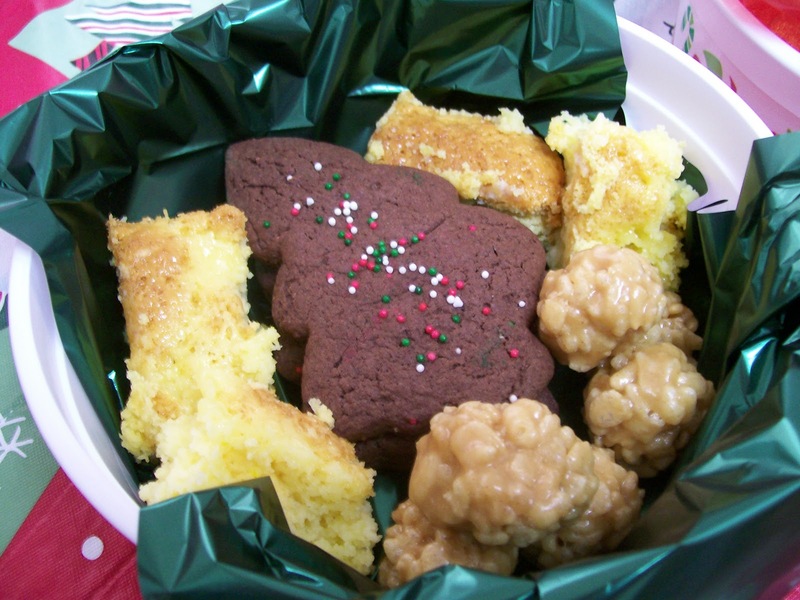 Welcome to the Holly Bloggy Christmas Edition of Friday Favorites! In case you’re new here, Friday Favorites is my weekly linky party where you can link up your recipes, crafts, decor, and other projects. Anything goes really! But today for the Holly Bloggy Christmas edition, I’m asking everyone to only link up your Christmas and holiday ideas! And since it’s a special edition, I’ve also got some extra features and a giveaway to share with you, so let’s get rolling! And as always, we had some delicious looking recipes! For today’s party we’ve also got an awesome giveaway from Amy Cornwell. 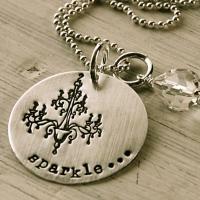 Amy Cornwell is a fabulous designer of Handstamped jewelry! Amy’s one-of-a-kind creations are made from fine materials such as sterling silver, gold-filled, gemstones, freshwater pearls and Swarovski crystals, and they come have a variety of designs and font styles available to fit your unique style. I absolutely love personalized family (mom) jewelry. One of my favorite items in the shop is the My Heart is Full Necklace. 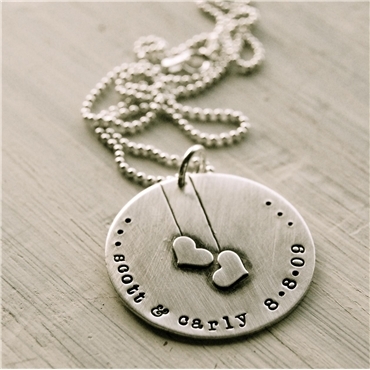 I just love the finely polished heart in the center, and it looks wonderful with the names wrapped around. And I also love this Captured Necklace! Amy Cornwell also has a great selection of add-ons, including charms, Swarovski Crystals, Pearls, and a selection of personalized charms and tags to help you create the perfect necklace or bracelet for yourself or the person on your gift giving list! Connect: Follow Amy Cornwell on her blog and on Facebook and Twitter. Buy it! Check out Amy Cornwell and place an order today! Win it! One Simply Sweet Home reader will win a $25 gift certificate from Amy Cornwell! Link up your Christmas and holiday posts below! Only 2 days for Holly Bloggy Christmas! On Wednesday we shared Christmas Crafts at Just Sew Sassy, and for day 4 we are sharing our Christmas Decor at Shabby Creek Cottage. And then on Friday I’ll be hosting a Christmas Edition of my Friday Favorites Party! 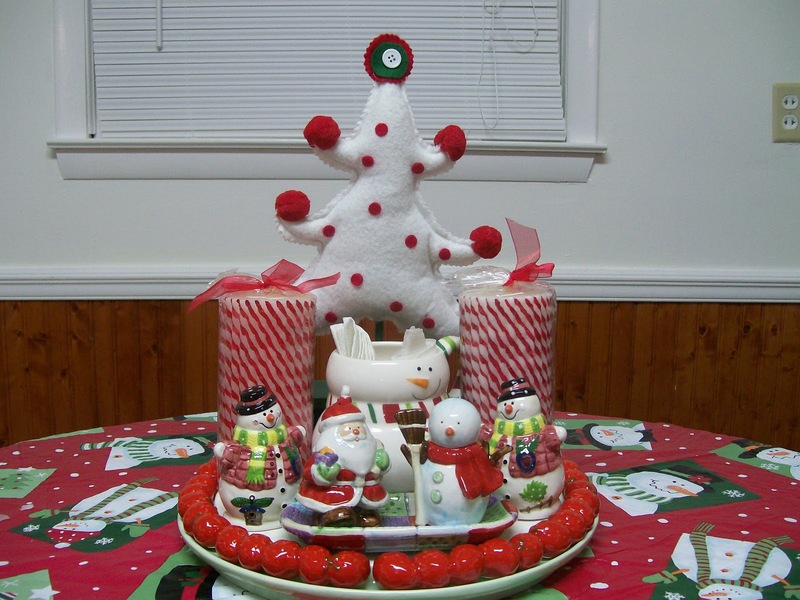 For my decor, I like things that are bright and colorful, and I like to create an elaborate display using simple and inexpensive things like Christmas Balls and Cone Trees from the Dollar Tree, as well as Christmas Wreaths and arrangements. 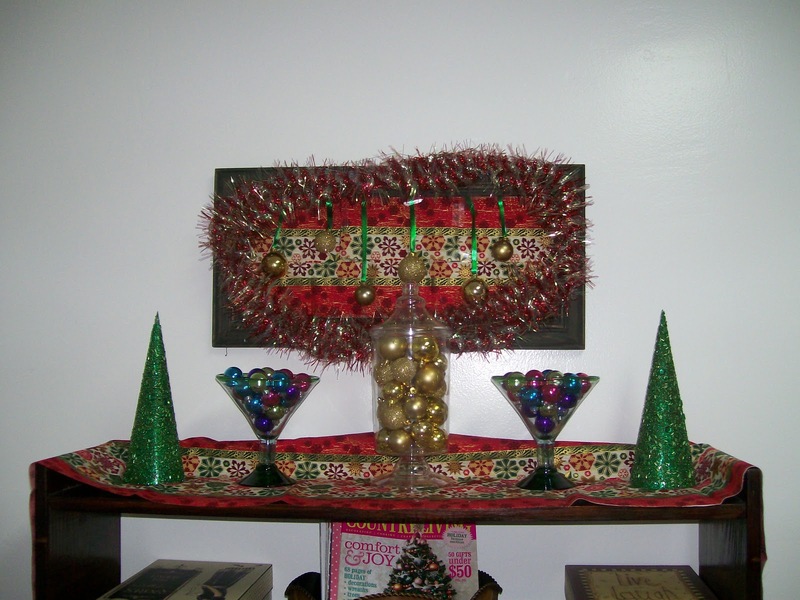 The center of the display consists of a ball wreath and some rainbow garland. 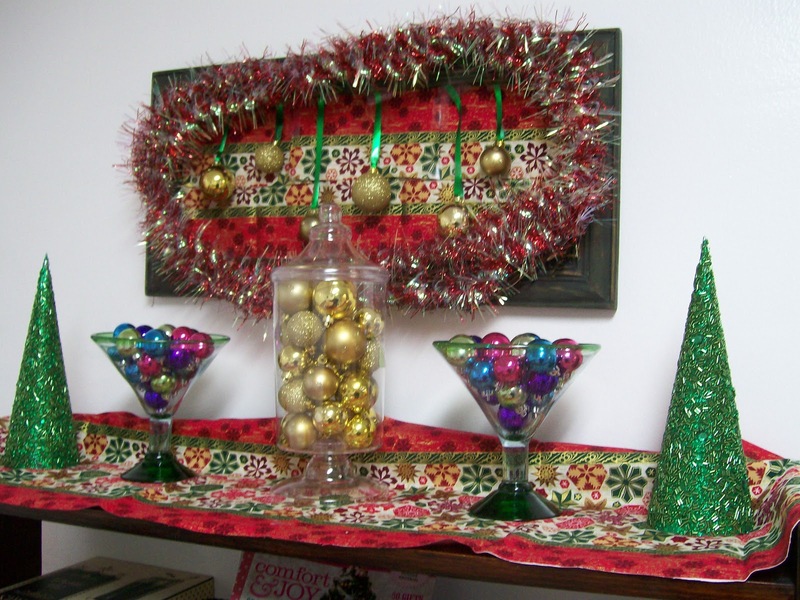 Then the shelf is covered is some snowflake fabric, and on top of it is a “colored mirror tree,” two glasses of colored balls, and two green-sequin trees, and more rainbow garland. Besides the wreath, one of my favorite parts of this display are the vintage trees on each side. My mom gave me these a while back, and as much as I liked them, I had no idea what I’d do with them. But as I started working on my display, I knew these balls would be a perfect addition to these little trees and the display! 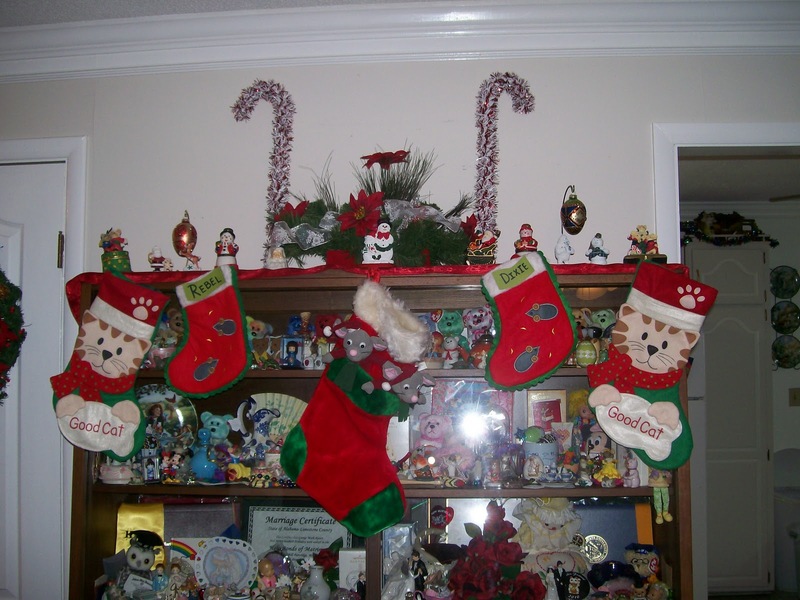 Each year I hang our stockings from my display case in our living room. As you can see we have a couple of “Good Cats” for Santa to visit! And then each year I’ve done something different to the top. 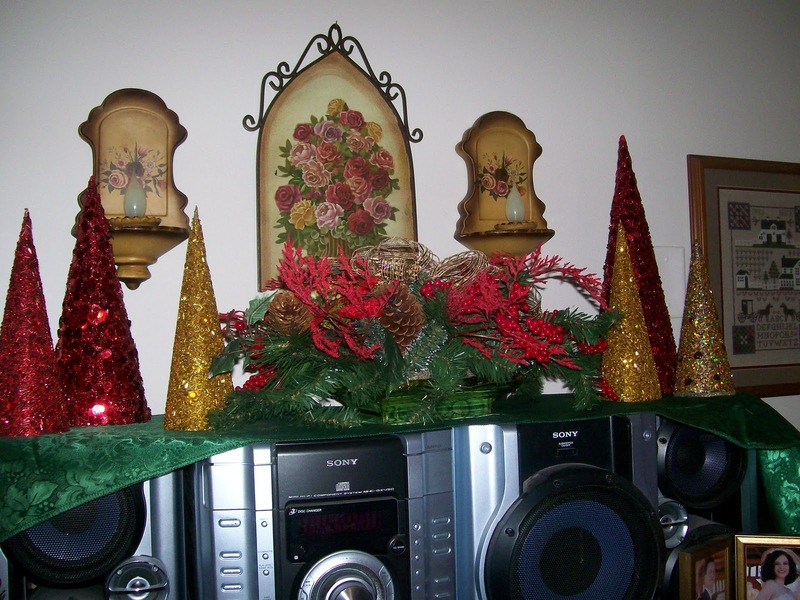 This year I added a green runner, some red and gold trees (all were dollar store finds), and a flower arrangement. 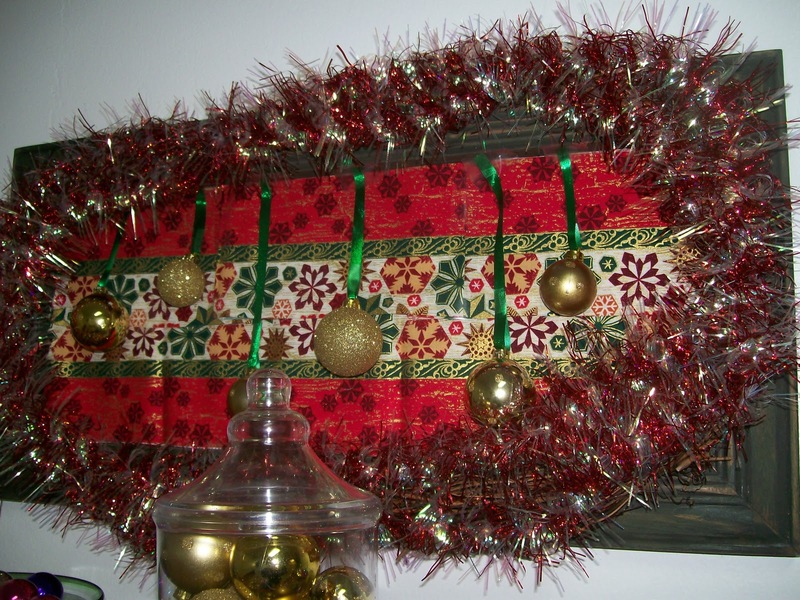 And the red and white “garland” up top is actually two garland-candy canes! Moving on to the kitchen…I have to admit I really didn’t do much in the kitchen this year, and I definitely didn’t do anything new, so I’m going to cheat a little bit, and just share a few of my photos from last year,since it’s the same stuff. Everyone always seems to love my little kitchen tree filled with cute little utensils. It’s probably the most unique part of my tour each year! 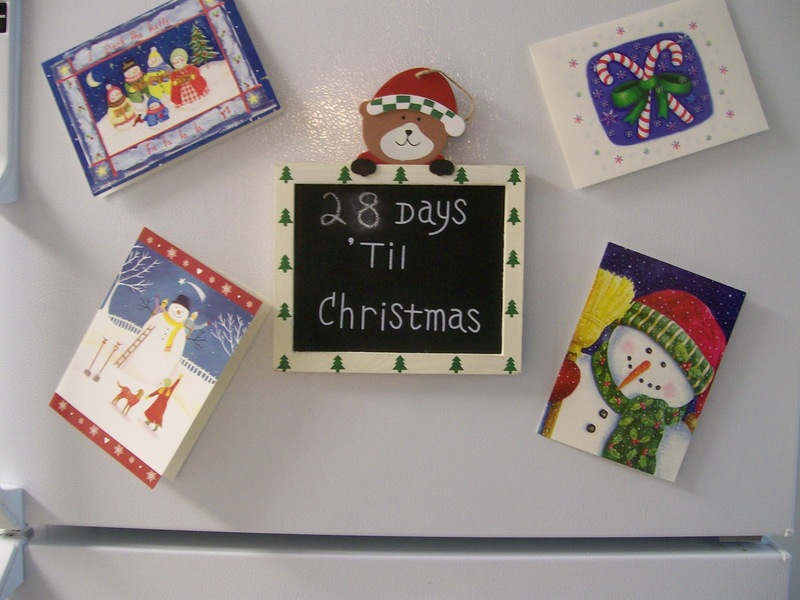 And once again this year, I added my little Christmas countdown and some cute cards to the fridge. And finally here’s our tree featuring a combination of Mouse ornaments, Candy Ornaments, and a rainbow of colors! Hope you enjoyed my tour!! Please come back here and link up all your Christmas ideas for Friday Favorites. Disclosure: I am sharing my holiday home decor and cleaning tips for the chance to win prizes from The SITS Girls and Great Cleaners. I’m very excited to announce this year’sHolly Bloggy Christmas! 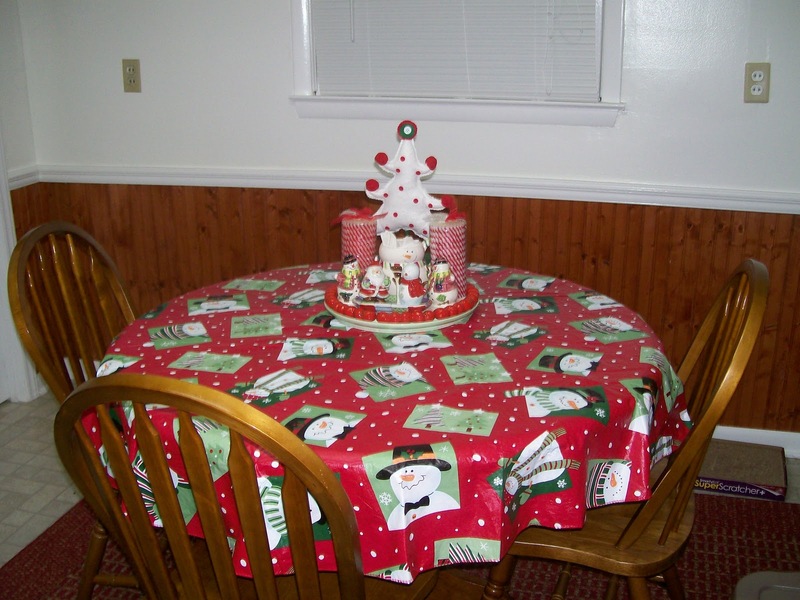 5 Days of Fun Christmas-themed Linky Parties! Hosted by Jen at tatertots and jello. Hosted by Nikki at Chef in Training. Hosted by Gina at The Shabby Creek Cottage. Giveaway: Hot Chocolate Candle Set from Good Neighbors Candle Co. Hosted by Jerri at Simply Sweet Home. Grab a button and join us for a Cup of Good Cheer!! Hey everyone! I’m very excited to announce all the Holly Bloggy Christmas winners today! But before we get to that I want to take a moment to thank a few people who helped to make our event a success. First and foremost, I want to thank everyone who participated in one or more of the linky events a couple of weeks ago. Without your participation, none of us could have sucessful linky parties. And on behalf of myself, the other hostesses, and our readers, I have to say that we loved looking at everyone’s lovely recipes, crafts, decorations and projects. Thank you for sharing them with us! Secondly, I want to thank Sarah Meyer for the use of her adorable artwork to create the Holly Bloggy button and graphic. And of course, I want to thank the lovely ladies who took time out of their busy holiday schedules to host this event with me: Jen at tater tots and jello, Nicholette and Vanessa at Craft Envy, Gina at The Shabby Chic Cottage, and Cheryl at Tidy Mom. You guys did such a lovely job on your posts, and I really appreciate your work! Finally, I wish to thank all of our wonderful giveaway sponsors (see links below)! It really adds to the fun when you can give away great prizes, and I was so excited to have so many great people offer up their products for giveaways. Now without further ado, here is the list of giveaway winners! All winners will be contacted by email (or blog) and they will have a week to respond and claim their prizes. Congrats to all of our winners! And thank you again for participating in the Holly Bloggy! 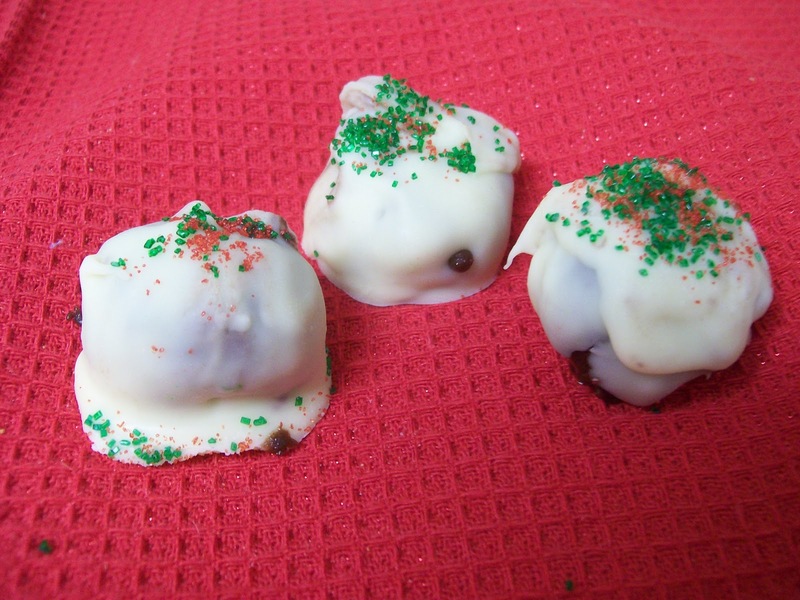 Thursday is Day 4 of Holly Bloggy Christmas, which means it’s time to share our Christmas Recipes! For me, one of the best things about the Christmas season is the food! I always enjoy munching on my traditional favorites and finding new favorites as well! For the last few years I’ve been making Christmas candy boxes for neighbors and close family members. For my gift boxes, I always try to include 3 or 4 different things. I always include my absolute favorite Chess Bars, and then I try to do some type of candy ball or cluster, and then some kind of cookie. 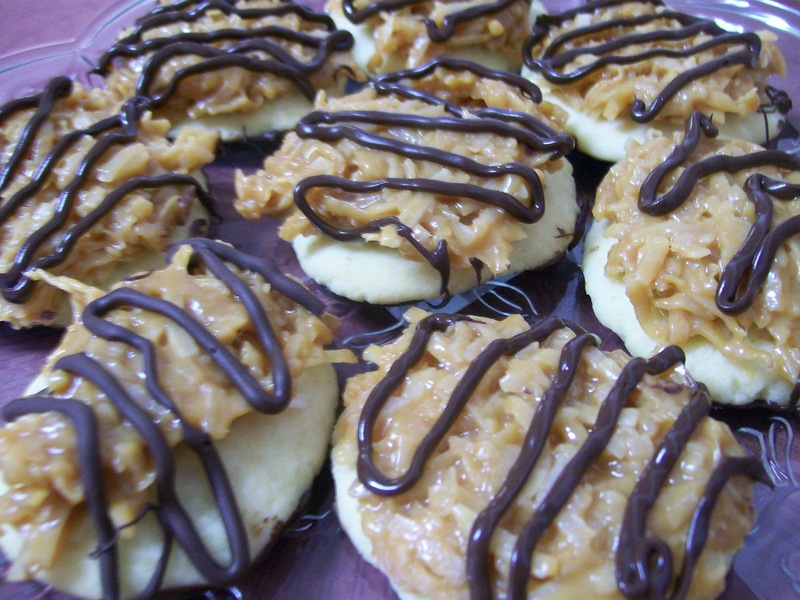 Today I’ll be sharing recipes for the 3 treats that I gave away last year: Devil’s Food Cookies, Chess Bars, and Peanut Butter Krispy Balls. Hope you enjoy them! 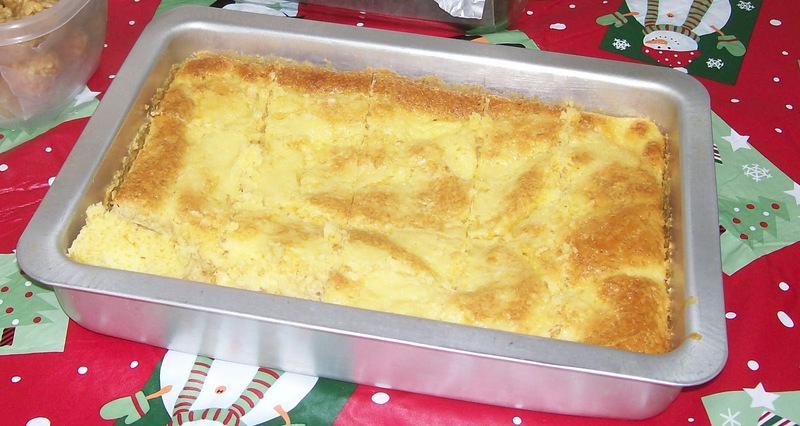 Directions: For cake – Mix together the cake mix, eggs, and margarine. Press into a 9×13 inch pan. For icing, cream together cream cheese, margarine, eggs, and sugar. Pour over cake mixture. Bake at 350 degrees for 45 minutes. (It should come out lightly browned and gooey.) Cut into squares and enjoy! Directions: Bring Karo syrup and sugar to a boil. Remove from heat and stir in peanut butter until dissolved. Slowly mix in cereal. Drop by rounded teaspoon onto waxed paper. Then mold into balls. Tip – You can also spoon the mixture into a 9×13 dish if you prefer to serve these as bars. And if you’d like to know what’s going in the boxes this year, check these out! 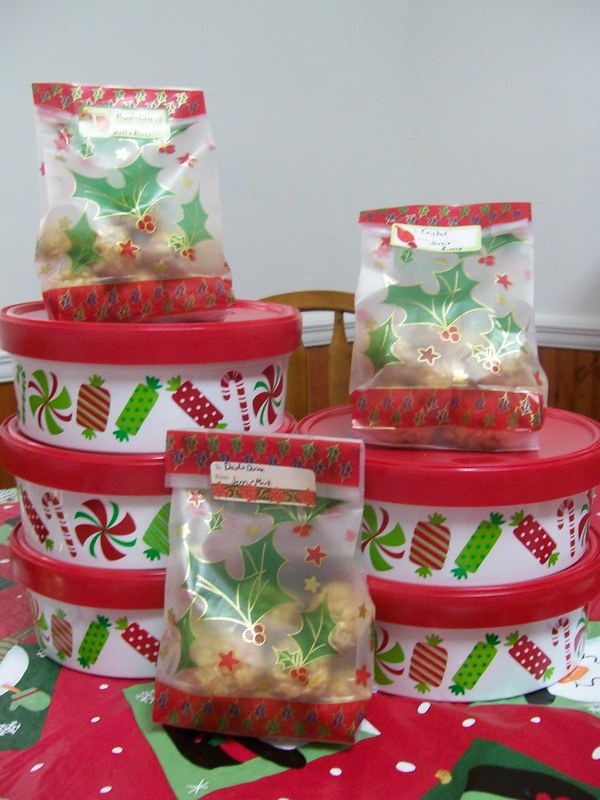 Place these treats in cute box or bag, and you’ve got a yummy Christmas gift! Lisa Leonard is known throughout the blogosphere for her beautiful, one-of-kind jewelry. You can choose something cute that fits your style from her inspired necklaces. Or you can create a custom piece of jewelry! Each piece is hand-cut, hammered, antiqued and is polished sterling silver. Beautiful! Connect with Lisa Leonard on Facebook and Twitter. Twelve Crafts offers cute jewelry, flower pins, sachet pillows, and other fun gifts and accessories. They come in bold, beautiful colors and designs that you just have to see! The owner of this shop, Elizabeth, also has a great blog where she shares her latest projects and tutorials. Connect Twelve Crafts on Facebook and Twitter. Another cute etsy boutique! If you like bows, you should definitely visit this shop. 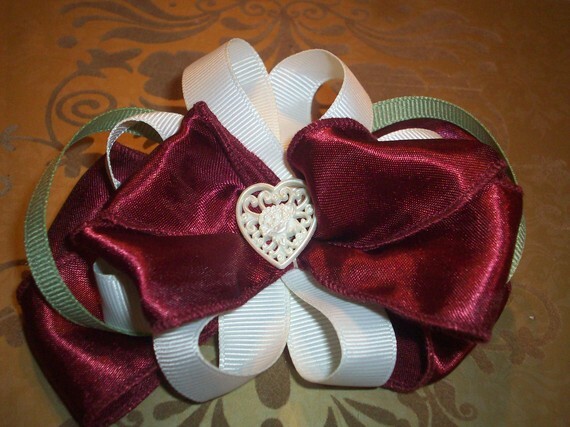 Hope Abound offers lovely accessories from bows and clippies to brooches and pins. These come in a variety of styles, colors, and materials, so you’re sure to find something you like! Non-bloggers: If you DO NOT have a blog, you may still enter. Just visit one of the sponsors and leave a comment telling me something you like. 1 entry if you subscribe to my blog by email. 1 entry if you follow my blog. 1 entry if you follow SimplySweetHome on twitter. 1 entry if you like Simply Sweet Home on facebook. Linky Party! I can’t wait to see what kind of goodies your cooking up this holiday season! Please link up the url to your Christmas Recipes below! The linky and giveaway will be open for entries through December 22. And winners will be announced the week after Christmas. Here’s the continuation of my home tour for the Decor Party at Shabby Chic Cottage. 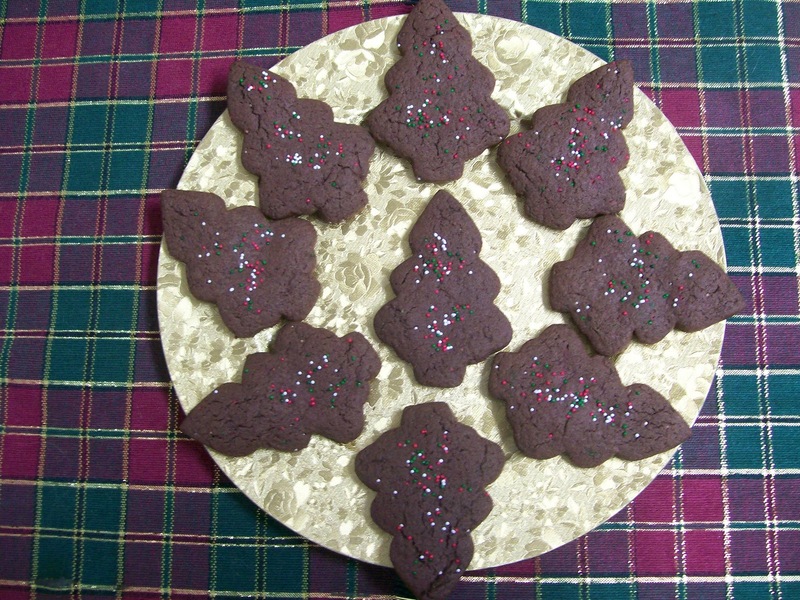 By the way, don’t forget to stop back by my blog tomorrow for a Christmas Recipe Party! For this part of the tour, we start with the fridge, which is topped off by my little kitchen tree. Last year it seemed to be everyone’s favorite thing in my home tour (and my fave too), so it makes a return this year! I added some cards to the fridge just to give it some color. And I bought the Christmas Countdown Sign at the Dollar Tree last year for 50% off. I added some magnets with a little hot glue, and it was perfect for the fridge. This is one of my favorite displays for this year. I had the cake place and the balls in cups last year. Then I got the rainbow at the Dollar Tree (again for 50% off). I had no idea what I’d do with the rainbow tree, until I found these adorable cupcake ornaments at K-Mart a couple of weeks ago. 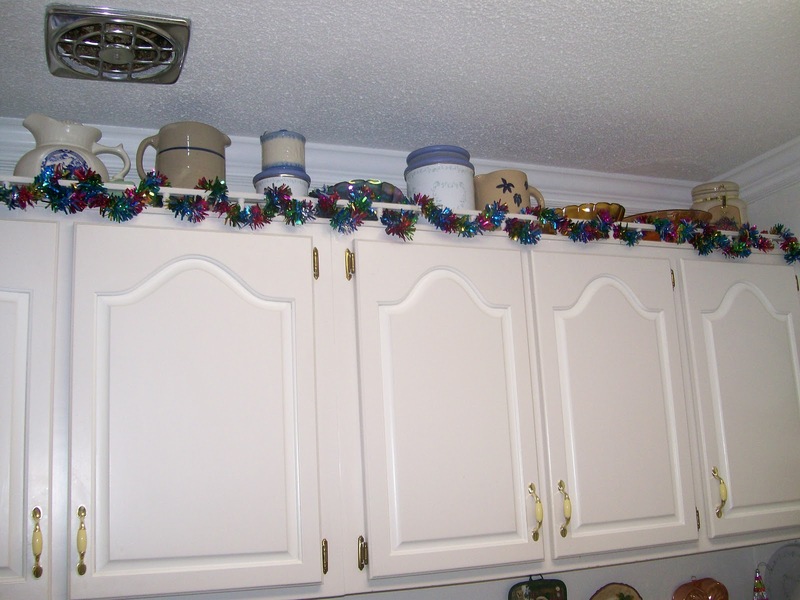 I used this rainbow garland above all the cabinets in the kitchen. A bunch of different plates, figurines, etc. always seem to find there way on the counter this time of year. The Christmas Tree Plate is one of my favorite pieces. Hubby bought it for me from Cracker Barrel. The tour wouldn’t be complete without a picture of my Mouse Tree! And here’s the dining rom table. It’s the same tablecloth from last year, but the I added a bunch of stuff to the center. 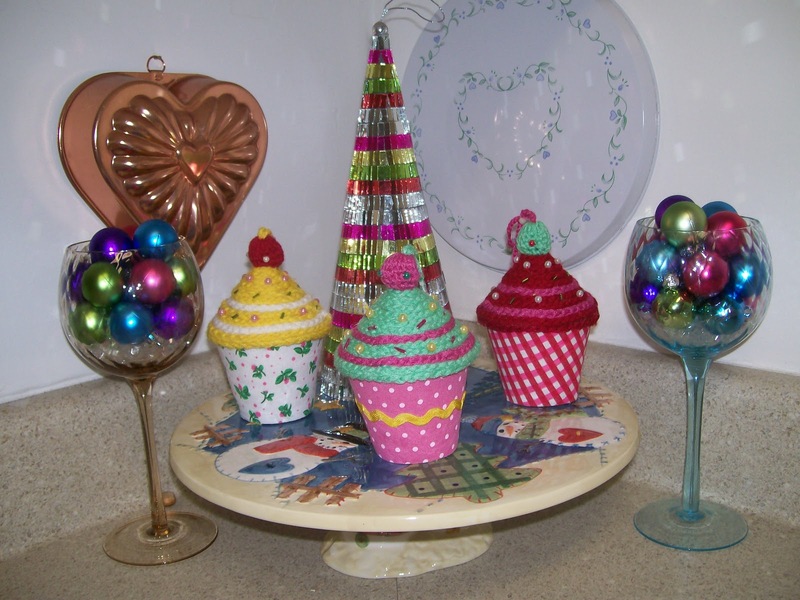 More balls in cups and cone trees! 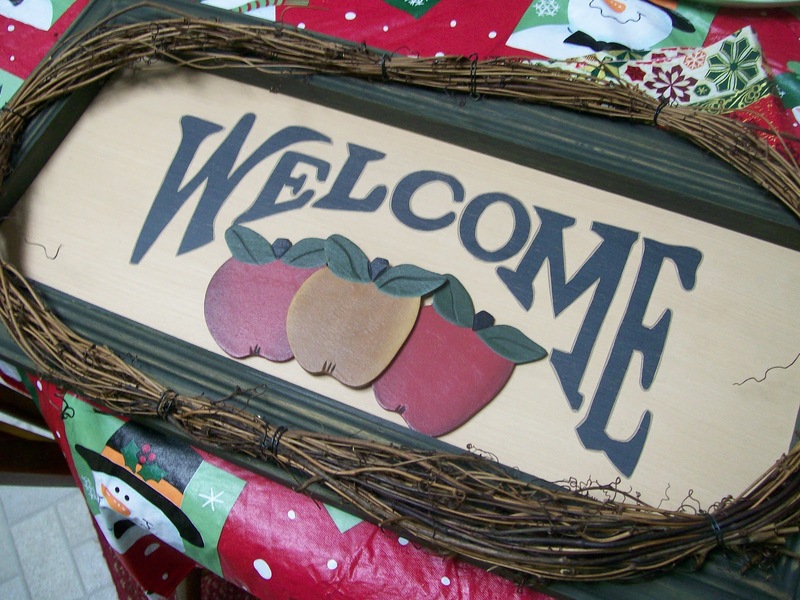 And if you check out my Christmas Craft post from yesterday you can see how I created the sign. And that’s it for the kitchen. If you haven’t seen the living room tour, please check that out too. 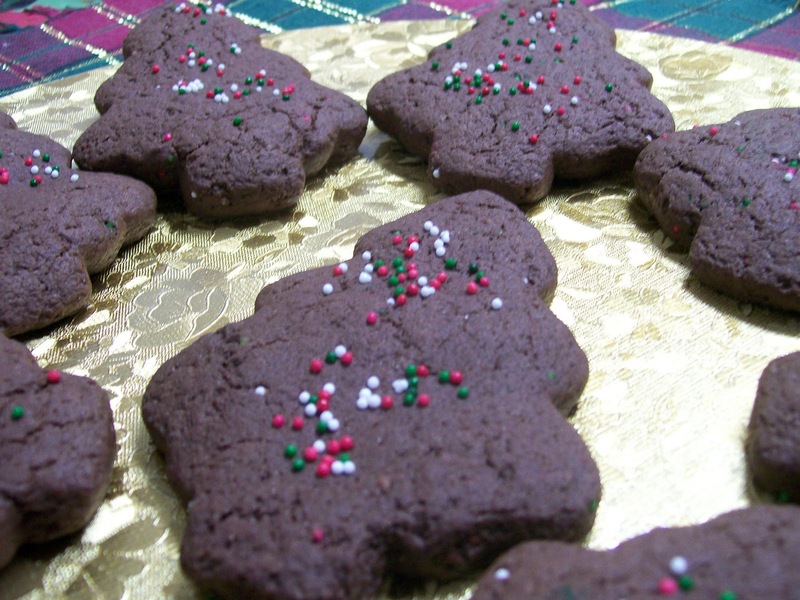 And don’t forget to come back here tomorrow for the Christmas Recipe Party! Also, linking up at these parties. 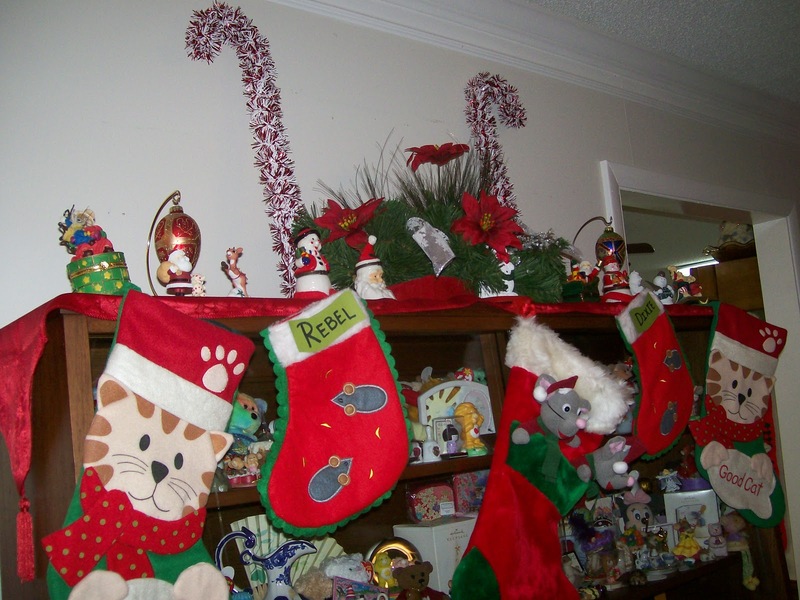 Wednesday is Day 3 of the Holly Bloggy Event, and we’re sharing decorations and Home Tours. Be sure to go over to The Shabby Chic Cottage to share yours! 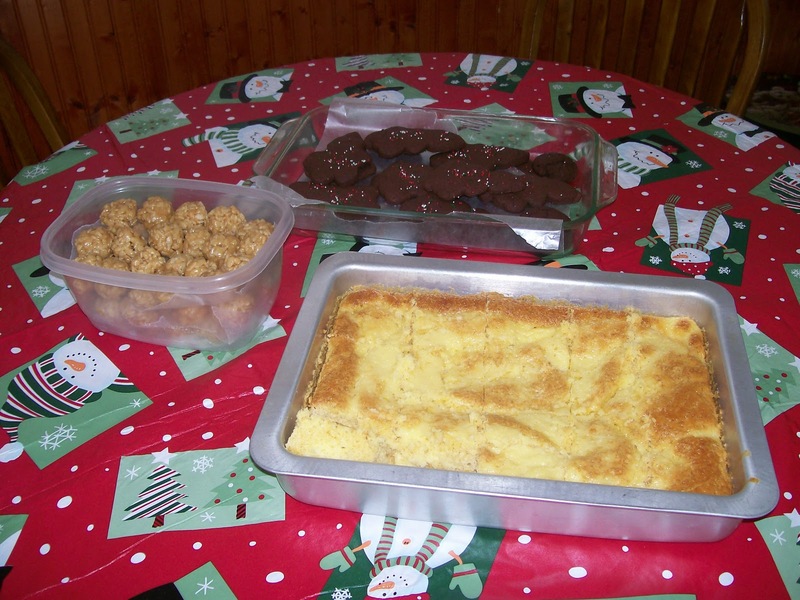 Also, come back here to Simply Sweet Home tomorrow for a Christmas Recipe Party! I had a lot of stuff I wanted to share for this year, so I’ve actually decided to divide my tour up into two posts. There will be one for the living room and one for the kitchen/dining room. First I wanted to share this cute Teddy Bear set. 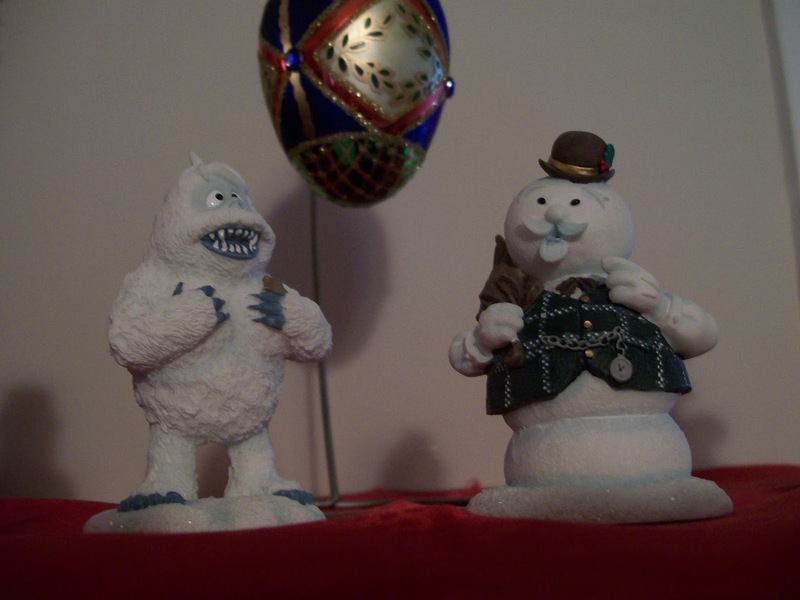 I got these at Hallmark a few years ago but I’ve never actually gotten them out till now. 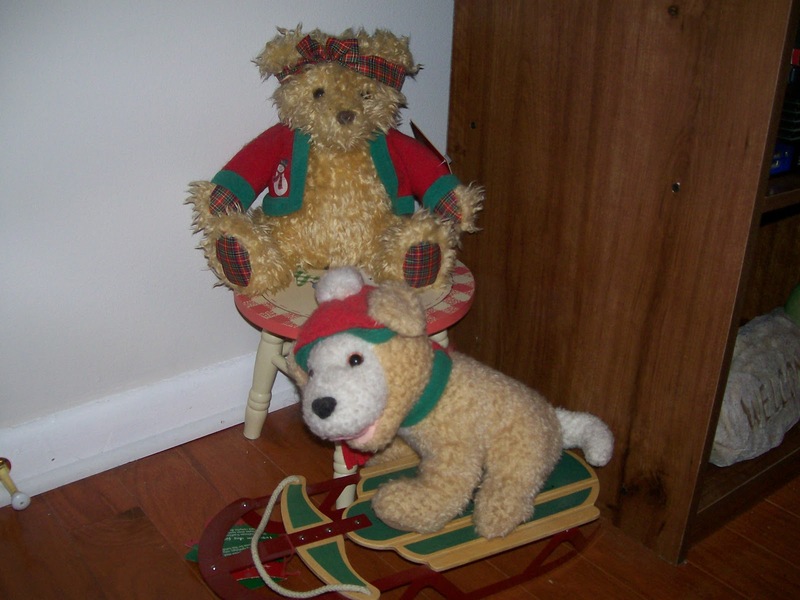 They were made to commemorate the100th birthday of the teddy bear. These are more Hallmark creations. I put these near our front door so they can give our guests a warm welcome. 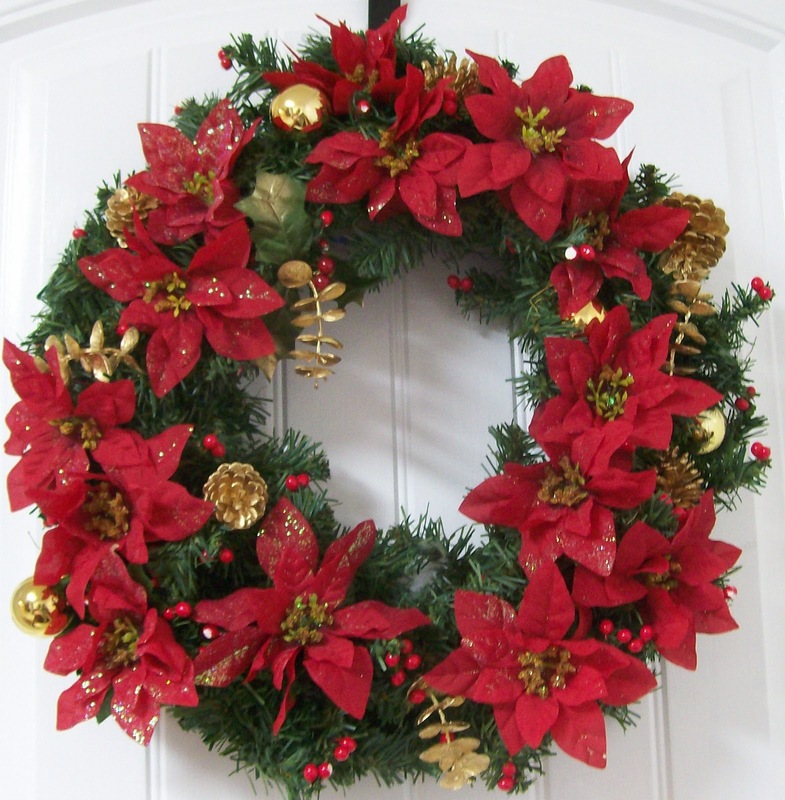 If you visit regularly, you’ve already seen this wreath. I have it hanging on the door of our coat closet. 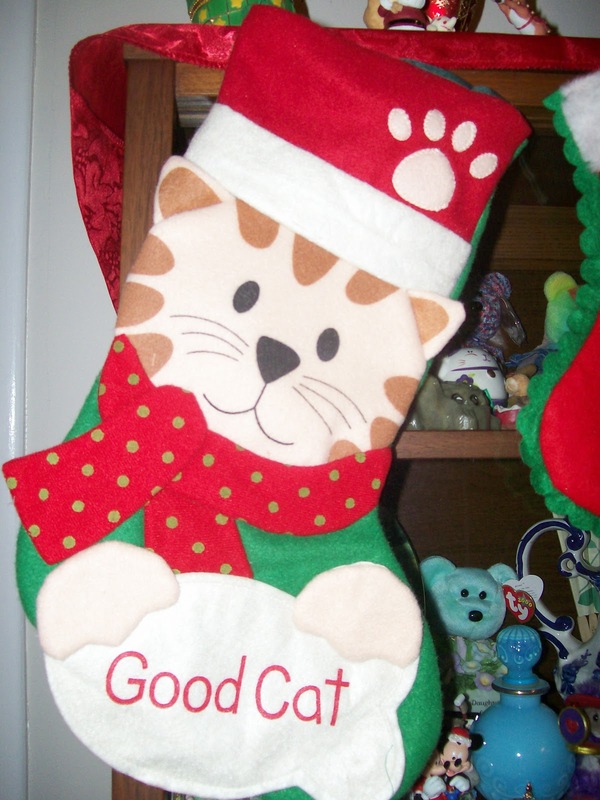 Happily I got 2 new cat stockings on sale last year after Christmas at Cracker Barrel. I also got the candy canes for half price at Dollar Tree! 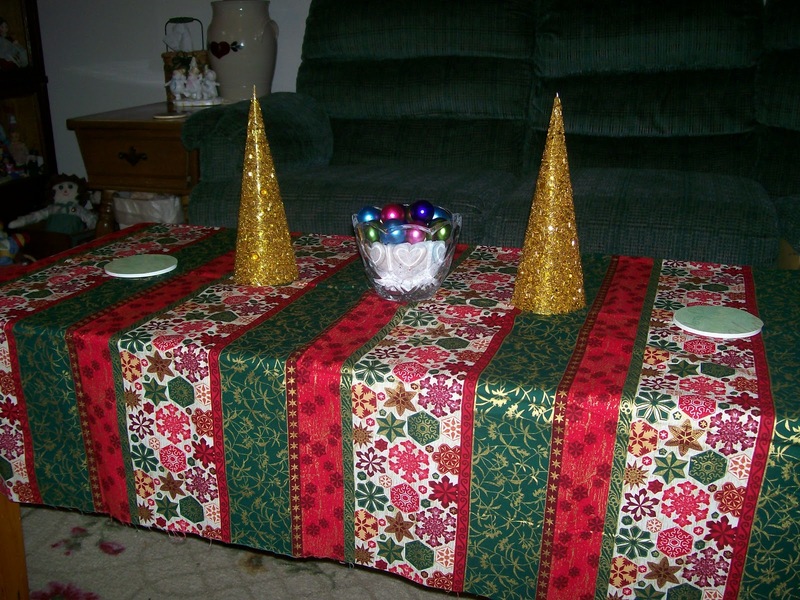 One of my favorite things as of late is the fabric I used to cover the coffee table. 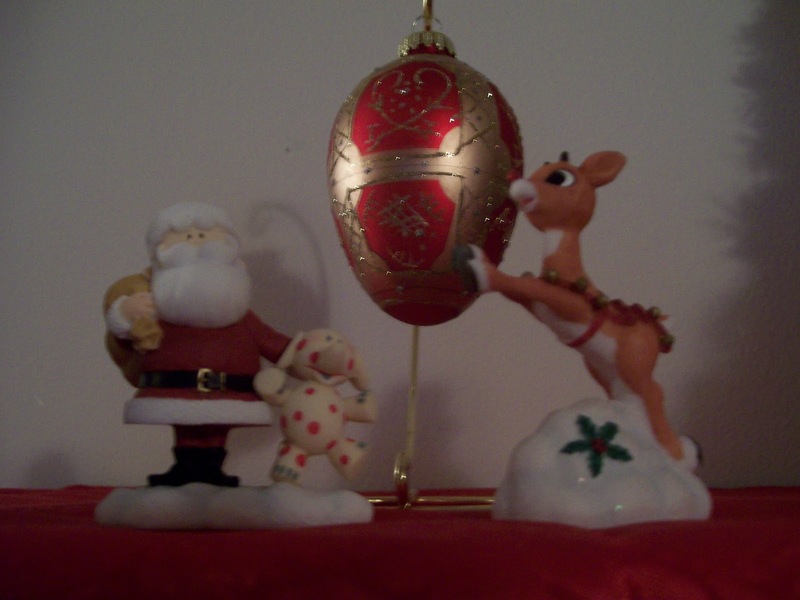 Back to the “treasure cabinet.” I decided to share my Rudolph figurines. This is my third year to do a home tour on my blog, and I don’t think I’ve ever shared them. My best friend from elementary to high school bought me these several years ago because it was always one of my favorite movies! 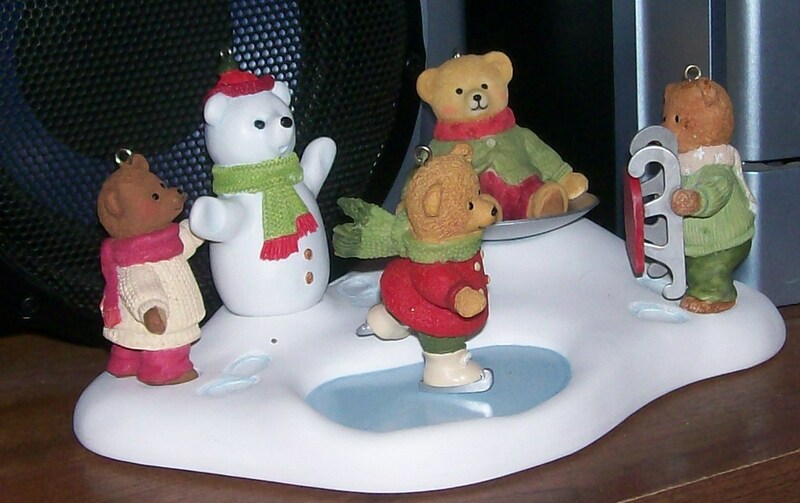 Last in this room is the snow buddies and snowman candle set. I especially love this candle set. I always love blue and silver together! Please check out my Kitchen Tour—coming up next! Don’t forget to link up your decor at The Shabby Chic Cottage. I’m also linking up at parties. 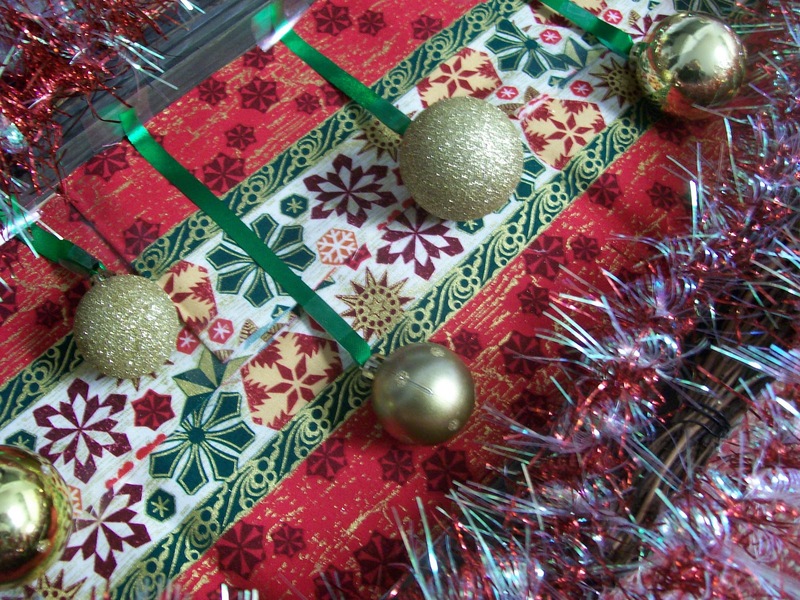 Today we are sharing Christmas Crafts for the Holly Bloggy Christmas. You can link up your project with Nicholette and Vanessa at Craft Envy. So after going through a few ideas in my head, I came up with this idea that resulted in the piece of art that you see here. In my tutorial, you’ll see how I created this temporary piece of art with my favorite office supply (tape), but I’ll also give you some instructions to help you create a more permanent (and I would also say, a bit more conventional) piece of Christmas art! Step 1 – Find a piece of art to cover. This may be something that’s already in your house, which you will cover temporarily. Or you can find something to cover permanently. A picture frame or old piece of art that you don’t want would be great. And you can always find something cheap to use from the thrift store. It doesn’t matter what it looks like because you are going to cover it anyway. Step 2 – Measure your fabric or scrapbook paper to fit the center of your frame or piece of art. Then attach it to the piece of art. 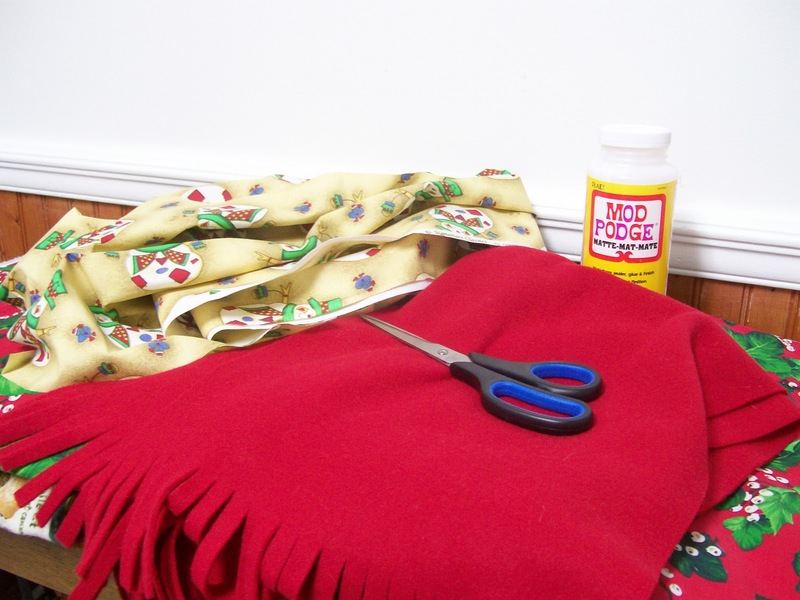 Use mod podge or glue stick to create a permanent piece of art or use tape to create something temporary. Step 4 – Cut out some ribbon. This will be used to hang the balls on your piece of art. You’ll need to cut them in varying lengths. You’ll want some of the balls to hang near the middle, while some will be higher, and others will be lower. Use your piece of art to get a good idea of what sizes you need. 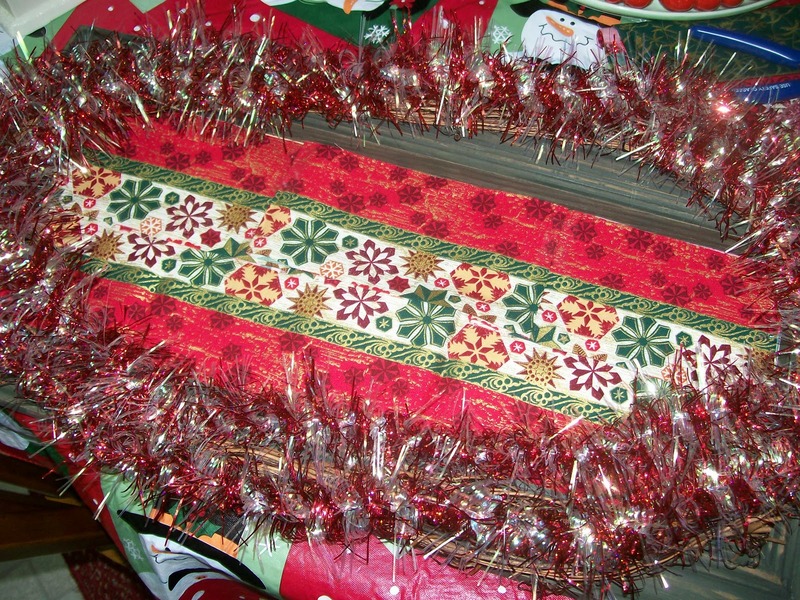 Step 5 – Now loop the ribbons through the balls. To attach them you can either tie a small knot or you can use hot glue or tape to affix the ribbon to itself once it is looped through. Step 6 – Attach the balls to your piece of art. Again for my temporary piece, I simply used tape to attach the ribbon to the frame. And I was able to place it in such a way that you can’t even tell that it’s taped. But if you want something permanent, you should attach the ribbons with hot glue. Now you should have a fun piece of Christmas wall art that you can use year after year (or just for this year)! I’m also linking up to these weekly parties. 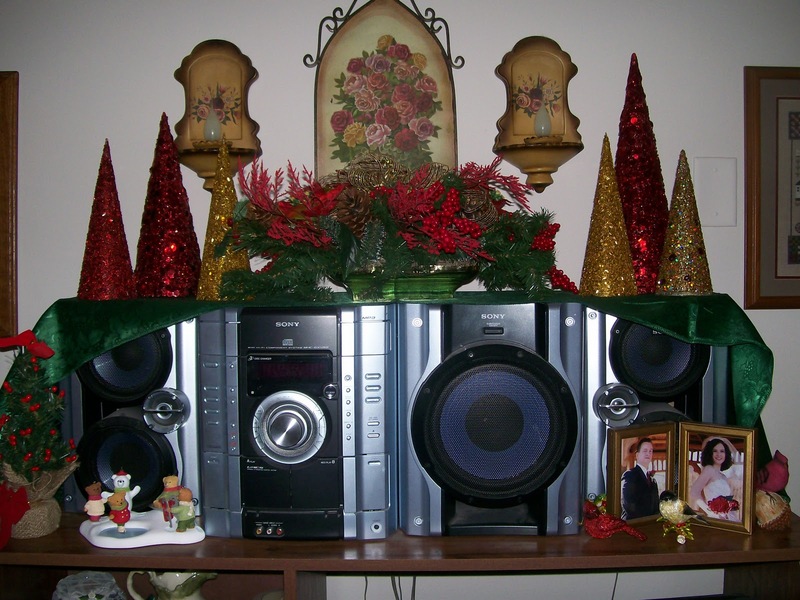 Monday is the first day of the Holly Bloggy Christmas. 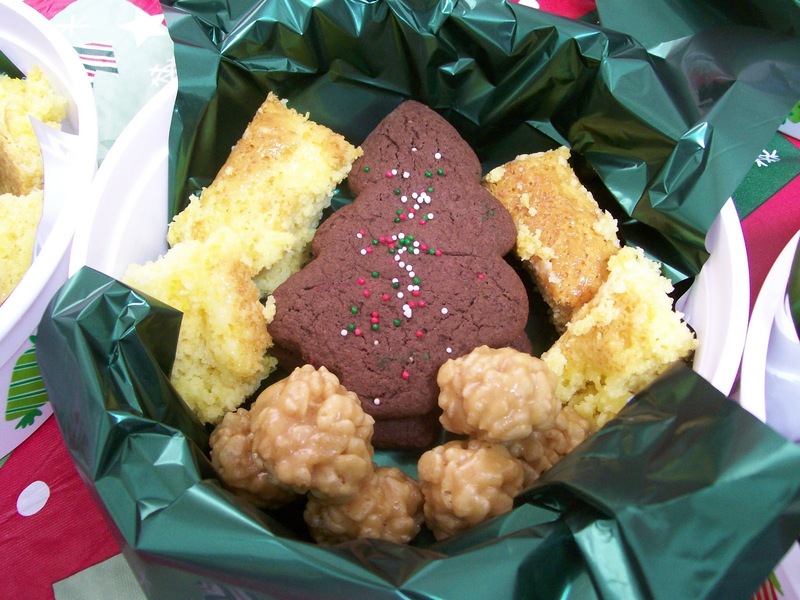 The first event is the Homemade Gifts party being hosted by Jen at tater tots and jello. For my homemade gift, I decided to share a fun scarf-upcyle project! 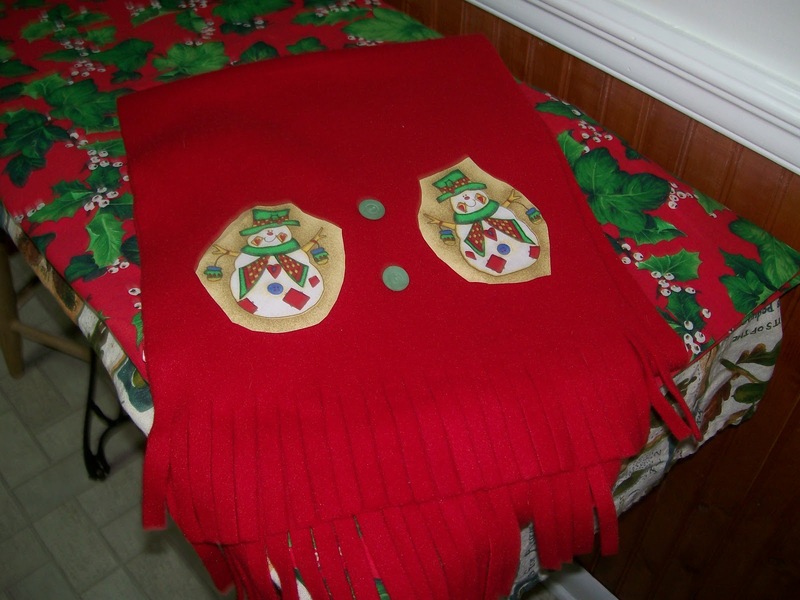 I just happened to have 3 red scarves in my possession, and I decided to transform one of them into a Christmas themed scarf. Of course, I don’t recommend that you give your old scarves away to your friends! 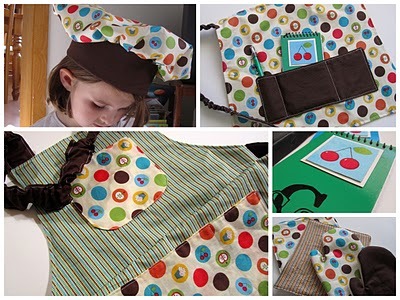 But if you like to make homemade gifts you could easily buy a plain scarf or some fabric and do this project! Step 1 – Get your scarf ready. 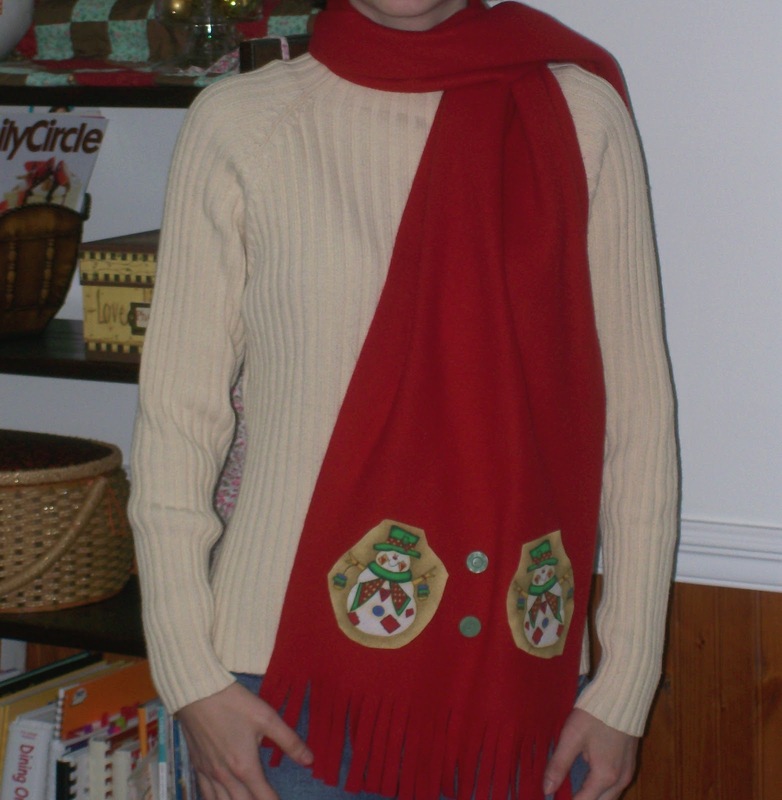 If you don’t have a scarf, I’d suggest getting one from a store like Ross, Marshall’s, or Burkes. They usually have nice clothes and accessories for cheap! You may also try Walmart or perhaps even the dollar store. Alternatively you could buy a piece of fabric from Walmart or the craft store. 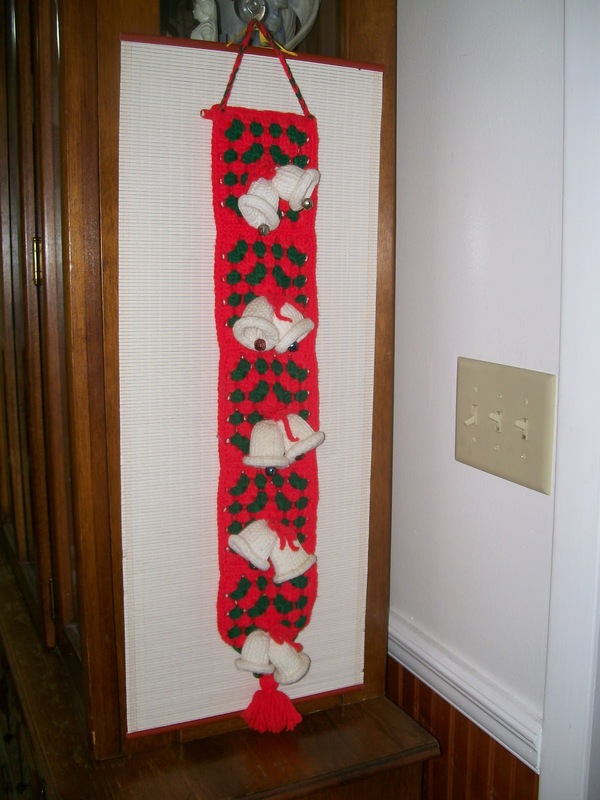 (The scarf in these pictures measures 12 inches by 63 inches, but if you were making it for a small child, you make it about half that length.) After cutting your fabric just cut some fringe on each end. The fringe on my scarf is 3 inches. 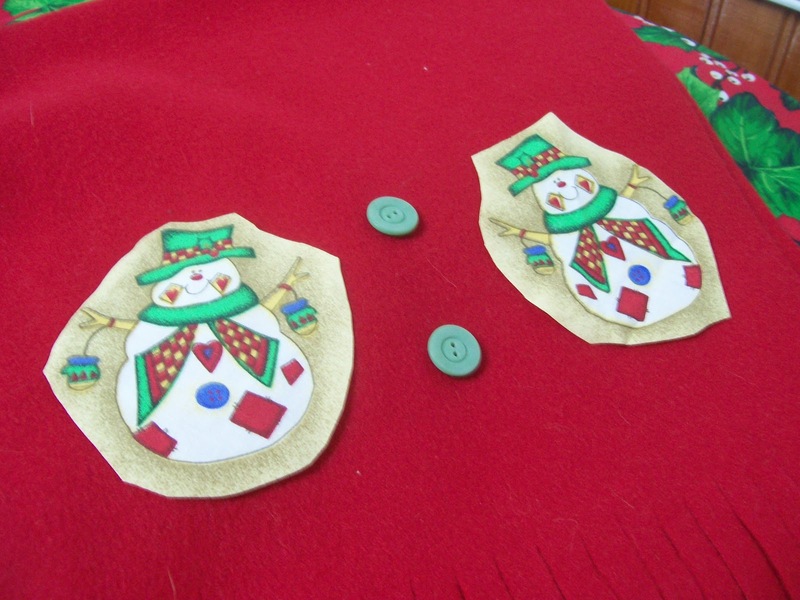 Step 2 – Take your Christmas themed fabric and cut out the shapes that you’d like to have on your scarf. This will be the dominating image for the scarf. In order for the shapes to show up good from a distance you need to cut out shapes that are 3 inches tall or more. Depending on the size of the images, I would cut anywhere from one to four images out for each side of your scarf (2 to 8 images total). As you can see I didn’t cut the images out so they’d be absolutely identical. For one thing, I’m a terrible cutter, and I knew I’d drive myself crazy trying to get them exactly the same. And secondly I thought it would give the scarf a little more character if they were a little different. After you’ve cut out the big images arrange them on your scarf. Then attach them using either mod podge or some hot glue. 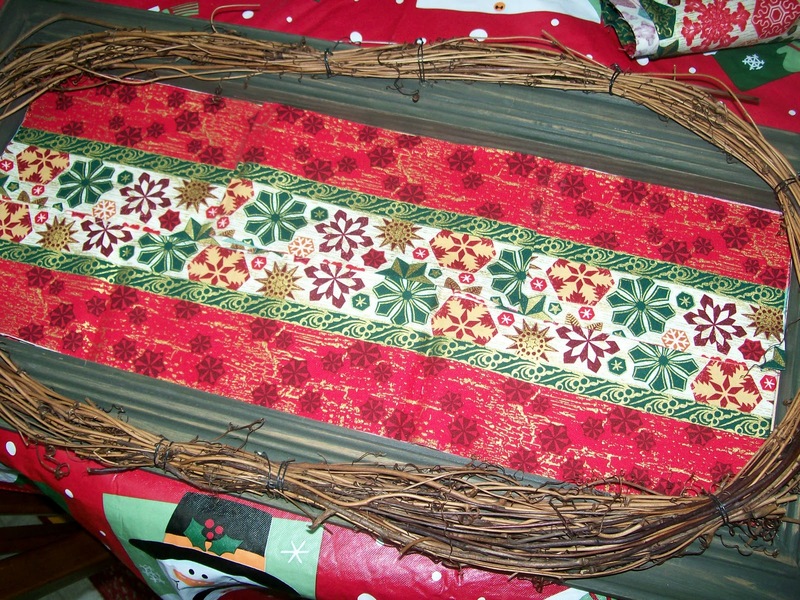 Step 3 – Add Embellisments. I love buttons, so I added 4 coordinating buttons to the scarf, two for each side. And I just added these with hot glue, no sewing needed! 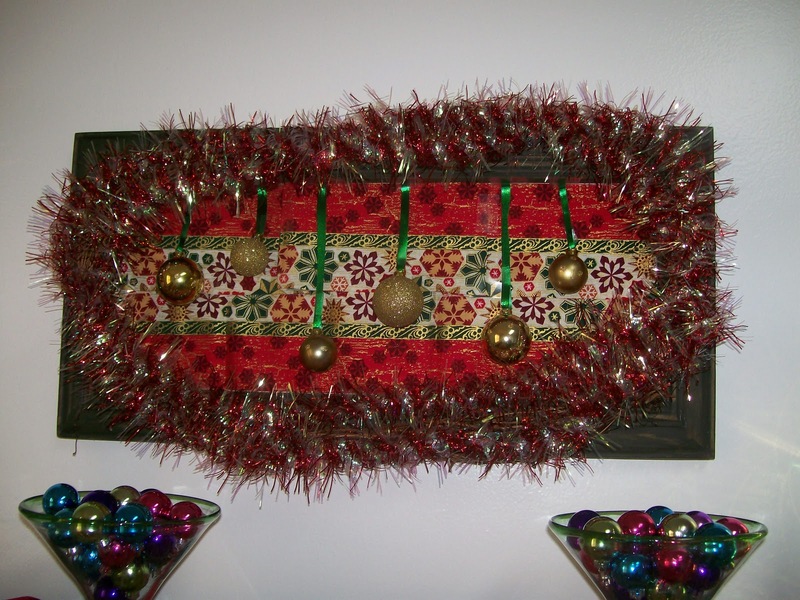 You could also glue on beads, jewels, or pom poms. Or if you’re fabric has some smaller images on it, you could cut these out and add them as well. 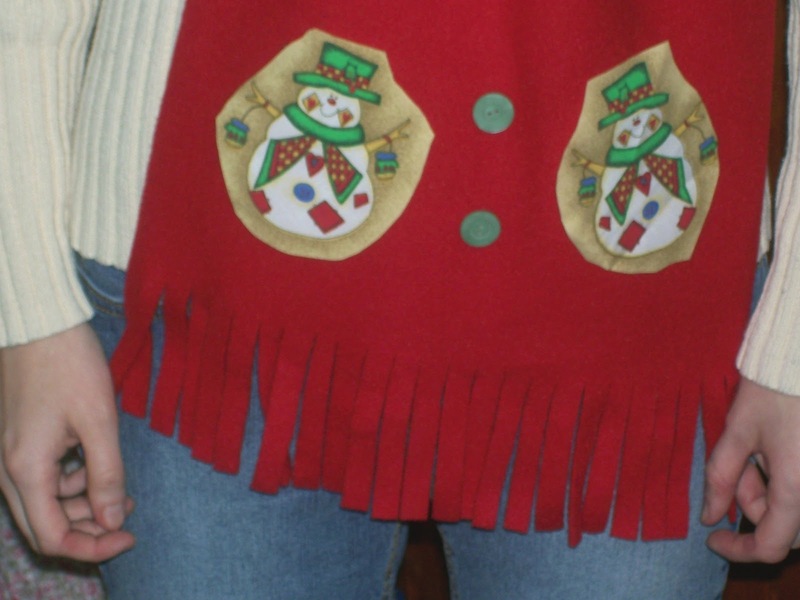 Step 4 – Finally just wear it and enjoy. Or wrap it up and place it under the tree! I’m also linking up at these parties.